She may not be as pioneering as Laika, the Soviet space dog from the 1950s, but Tiffany, a young Dutch Smoushond, has made a name for herself as the first animal that American Airlines Cargo has shipped as live cargo from the Netherlands to the United States. Animal forwarding company Animals to Fly gave Tiffany the VIP treatment with a direct trans-Atlantic ride in a kennel carrier, inside a comfortable 757 belly hold, to Philadelphia, where her new owners were waiting. Being not only a very rare breed but also a puppy, Tiffany required extra care, so AA Cargo’s GSA, FlyUs, arranged to have two animal wranglers, Patrick Smidt and Benny Bekker, to accompany her on her journey. According to Animals to Fly, the adventurous Tiffany arrived unscathed in Philadelphia after a nine-hour door-to-door delivery. story courtesy of air cargo world Dog transport begins between Netherlands and U.S.
A Southampton based logistics firm has become the latest company to join Palletways, Europe’s largest and fastest growing palletised freight network. Joining Palletways, Acclaim Logistics, based on Calmore Industrial Estate in Totton, will handle single pallet loads to large scale consignments and will cover the SO postcodes in Southampton and the PO postcodes on the Isle of Wight. Acclaim Logistics is one of over 100 members in the Palletways UK network – Europe’s largest and fastest growing express palletised freight network. The company’s distribution networks are made up of independent transport companies who share each other’s resources to deliver consignments of palletised freight to market faster and more cost effectively than ever before. Tesco has announced plans to slash payment terms for smaller suppliers by half, to help usher in a new era of transparency and fairness at the supermarket giant. Its smallest suppliers, selling products worth £100,000 or less in a year, will receive payments within 14 pays, chief executive Dave Lewis revealed today. This is down from the industry standard of 28 days. Speaking at the retail industry’s IDG Conference on Tuesday, the Tesco boss claimed that payment terms would be standardised and simplified over the next nine months. Larger suppliers, selling up to £10m-worth of products into Tesco each year, have also had their payments terms improved. The supermarket has shaved five days off the industry standard. The amount of time that Tesco will take to pay up varies widely by product category: sellers of fish, meat, fruit, and vegetables will be paid within 23 days, while companies supplying wine, beer and spirits, or clothing and merchandise, will still have to wait 55 days. A spokesman for Tesco said that the longer wait for alcohol and clothing companies reflected the non-perishable nature of the products. Small companies offering chilled, convenience or frozen food will be paid within 30 days, the same for pet food. It will take 35 days to pay dairy suppliers, while Tesco requires 40 days to settle invoices from bakery, grocery, household, health and beauty businesses. The supermarket has been criticised for its treatment of suppliers for a number of years and in June this year Tesco topped a Groceries Code Adjudicator list for supplier complaints. Some 30pc of the 1,000 supermarket suppliers surveyed said that Tesco rarely complied with the Groceries Supply Code of Practice, while 4pc said that it never complied. Only frozen food retailer Iceland received a worse score from its suppliers. In February, Tesco emailed its suppliers demanding price cuts because of the slide in commodity markets and threatened to withdraw products if suppliers refused to capitulate, prompting an industry backlash. “By introducing a new standardised policy across each category for our larger suppliers, and shorter payment terms for our small and medium suppliers, it will help us to deliver a fairer, more transparent and consistent approach across our supply base,” Mr Lewis said. “We are pleased to see Tesco has listened to our arguments and made improvements to its payment practices towards its smaller suppliers,” John Allan, national chairman for the Federation of Small Businesses, said of Tesco’s new payments policy. Tesco, which works with 1,800 small UK suppliers, will make no financial gain from the changes, it claimed, and in fact estimated the cost of implementing the changes at £231m. Keith AcAvoy, co-founder of craft beer start-up Seven Brothers, was offered a listing with Tesco earlier this year but turned down the opportunity. These new terms will encourage more small suppliers to consider doing business with the grocer, he claimed. The Chancellor will unveil a new independent national board to review spending. George Osborne will promise to break Britain’s transport spending ‘inertia’ in his conference speech – with plans for HS3 top of the list. The Chancellor will unveil a new independent national board to review spending priorities for transport, house building and power stations in each region, to be headed up by Labour peer Lord Adonis. His policy is a brazen lift of a Labour manifesto pledge at the last election – which was drawn up by Lord Adnois – and will see him resign his party whip. Treasury sources – who referred to the move as a ‘sweeping’ change in the way spending is planned – said the first issue it will look at will be joining up major cities with modern transport links, often referred to as ‘HS3’. It will also report back regularly on the progress of government infrastructure projects and spending, much as the Office for Budget Responsibility does for the economy. Mr Osborne is expected to say to conference in Manchester: “Where would Britain be if we had never built railways or runways, power stations or new homes? “I’m not prepared to turn round to my children – or indeed anyone else’s child – and said I’m sorry, we didn’t build for you. The news comes after the Tories dramatically ‘unpaused’ northern rail electrification ahead of conference, after facing a backlash over the move in the summer. It is unclear exactly how the new body will interact with Transport for the North, the coalition of northern councils set up – and handed £30m – in the summer budget to ‘set out transport policies and investment policies’ in a ‘long-term strategy’. Sources said TfN, which has been spearheaded by Manchester council leader Sir Richard Leese, would ‘feed in’ to the review. In addition the Chancellor will also announce plans to merge the country’s 89 local government pension funds, including Greater Manchester’s, into five or six regional pots of around £25bn each – so they are big enough to invest in infrastructure projects. Greater Manchester’s pension fund already controls £16bn in assets. Legally the new pots cannot be forced to choose infrastructure – but the Treasury believes they are far more likely to do so with access to greater funds. Euro-6 emissions regulations have meant a rapid increase in the number of trucks on the road fitted with diesel particulate filters (DPFs) – an essential part of Euro-6, which prevent particulate matter and other emissions from being released into the atmosphere. DPFs are an essential maintenance item for operators to factor into their vehicle schedules, which must be cleaned or replaced at regular intervals. With filters for commercial vehicles costing between £1,200-£4,000, replacing items damaged through clogging or mishandling is an expensive business. Slough-based emissions specialist Ceramex has developed new processes for cleaning and inspecting DPFs, as well as an exchange filter programme for a number of vehicle manufacturers. Ceramex has developed a process called Xpurge which uses purified water and an air pulse to return the DPF to “good-as-new” levels, according to Beament. Once the filter has been cleansed, Ceramex inspects it to check for small holes and cracks, comparing the cleaned filter’s efficiency with that of a new filter. The largely automated process takes about two hours from the filter arriving at Ceramex’s Slough facility to completion for dispatch back to a dealership. 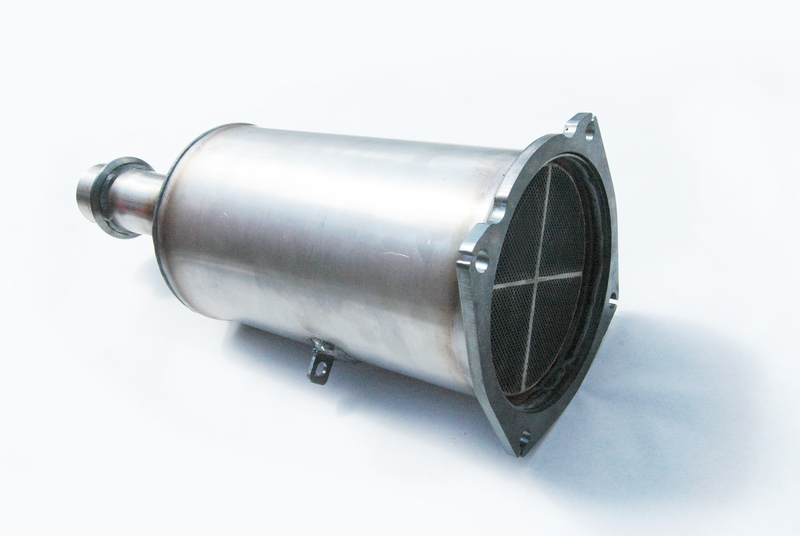 The company’s filter exchange programme means that when a clogged DPF is taken off a truck in a dealer’s workshop it can immediately be replaced by a cleaned one off the shelf in the parts department. Some service departments have caused damage to filters by attempting to blow out the accumulated particulate matter using a workshop airline. Unfortunately the damage can render the filter too damaged to be swapped. This approach is also only likely to clear about 30% of any blockage in the filter, as well as blowing carcinogenic material out into the air. Cleaning frequency will depend on how the vehicle is used. Some manufacturers suggest the filters can last up to 200,000km before the first clean is required, but it will vary considerably depending on the vehicle’s workload. “It could be once every two years or once every 12 months depending on whether the truck spends most of its time on the motorway or is on city centre delivery work,” Beament observes. Ceramex has gained considerable experience in cleaning DPFs in recent years for vehicles fitted with filters to meet requirements of the London Low Emission Zone, with some LEZ filters having been successfully cleaned up to 10 times. 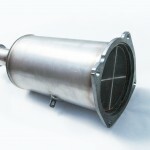 With DPFs a key part of Euro-6 emissions regulations, the company’s workload has increased already, and the imminent adoption of Euro-6 standards for vans means that is expected to continue to increase in coming years. “We’re already cleaning thousands a year and we can scale up our capacity to deal with tens of thousands more,” says Beament.